Closing a street to traffic opens it up to people. 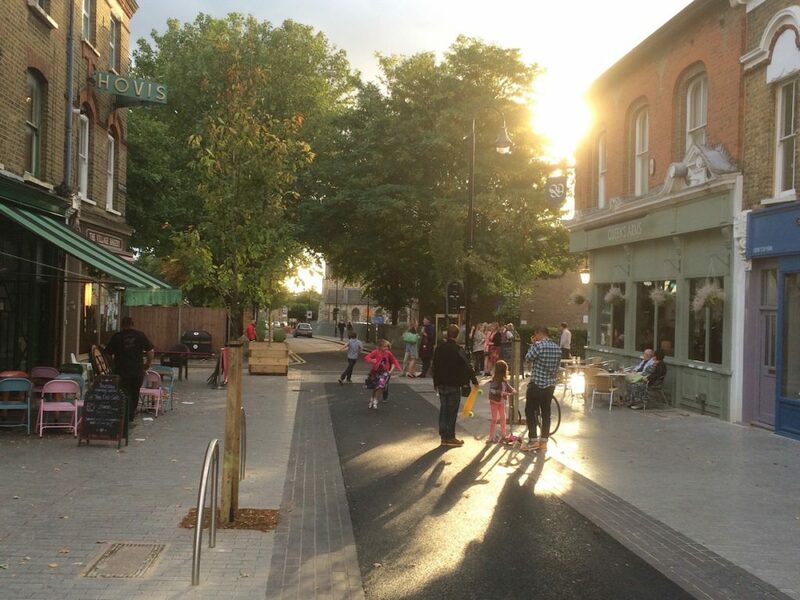 A short video showing the incredible transformation of Waltham Forest. Liveable neighbourhood zone – A self-contained zone in which through-traffic is prevented. Motor traffic must enter and exit the zone via the adjacent main roads. Modal filter – A permeable barrier that allows pedestrians, wheelchair-users and cyclists to pass through but prevents motor traffic. Typically a set of bollards or planters placed across the carriageway. It can be implemented quickly and cheaply. 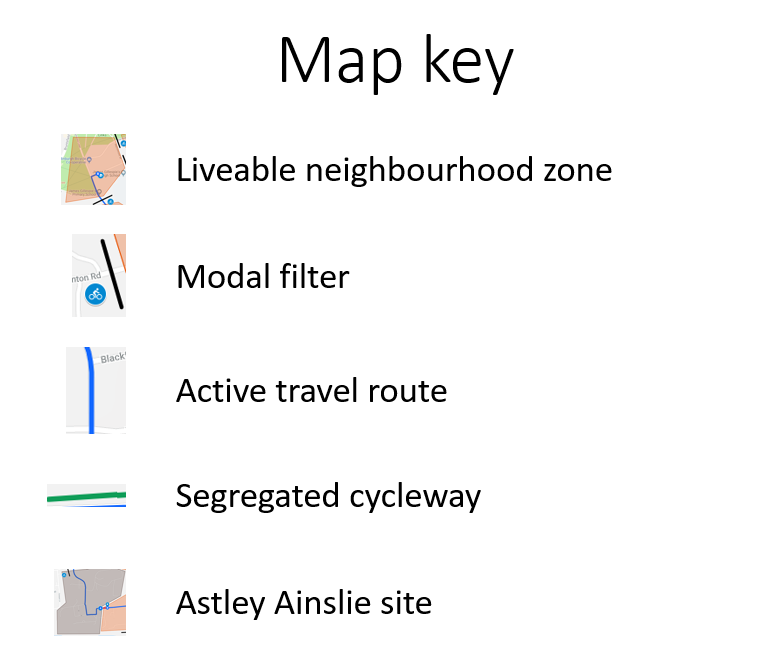 Active travel route – A safe and convenient route for people walking or riding bicycles and scooters. Typically it will be either low-traffic*, segregated or off-road. *The low-traffic aspect is by design i.e. through-traffic is prevented. Segregated cycleway – Provides a protected cycle route beside main roads, where low-traffic options are not considered practical. Segregation is normally by means of physical measures to prevent encroachment of motor vehicles e.g. kerbs, bollards, planters, or other raised features.